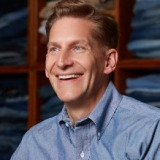 Since the earliest days of his global brand leadership and merchandising career, Grant Barth has been privileged to build, expand and reinvigorate diverse brands that range from vintage and contemporary apparel categories at Levi’s to newly developed products at Nike, including footwear, outerwear and sportswear. His 16-year track record at Nike encompassed roles as diverse as Global Apparel Leader for Outerwear; Merchandising and Product Director for Nike Japan International; and Director of Nike’s Asia Pacific Apparel Emerging Business. His leadership skill sets include every stage of strategic and creative direction, encompassing digital communities and influencers, process engineering, global supply chain and fiscal oversight.